Earlier this year at a firewalking event I was running, I joked as we lit the logs and getting prepared “as a boy, I dreamed of moments like this” and it is true, I really did. I recall during winter as a boy watching my Dad build and light the home fires we had and never being allowed to do any of the lighting or prodding with the poker and not being allowed to throw stuff in on it to burn; I was so deprived by the responsible attitude of my parents! These days, we have our own open fire at home and we get our annual delivery of logs to get all toasty in our front room during winter, I love it. I love the very subtle aroma of burning wood, I love the sound of the logs crackling and rolling into embers, I love the sensation of the sedating heat (some of my early memories are of my Grandfather coming in from a days work on the farm, sitting down in his armchair in front of the open fire and just falling asleep, so I think I associate that heat with sleep, and I think we’ve all felt sedated sat in front of a fireplace, haven’t we?) and I also love to watch it, the flames that roar at the beginning and then flicker calmly once the logs become embers, the varying glow and the multitude of colours that exist within it. Of course, I’m not the only person fascinated by fire, for centuries, it was a sign of power and a source of great need for early mankind, it instills fear in people and animals and of course needs to be respected because of the damage it can cause. When something is burned to ashes and dust, there is a sense of finalism. A sense of no return sometimes. Some people are cremated to signal the end of their life and body. Yet burning can also be a very fertile thing to do, some woodlands and scrub areas are burned on purpose to make way for new life and new beginnings. The areas that surround volcanoes are often some of the most fertile and rich places on the planet. In line with yesterdays process here on the blog, todays process has a similar outcome and theme, we are just approaching it with a different element and it has a slightly different number of interpretations one can make. For starters, we are using fire and flames! This process can be used for helping to let go of non-useful thoughts, beliefs, worries and frustrations. 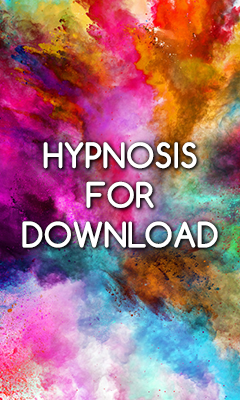 The main inspiration for this process comes from the work of Stanton (1990) as cited in Corydon Hammond’s (Ed) Handbook of hypnotic suggestions and metaphors (p.313) and I have adapted it here for use with self-hypnosis and tweaked the process accordingly. I use this kind of application in a variety of ways within my therapy rooms and often teach my client the process to practice at home, so it can be developed and altered to suit the requirements of the client or the individual. Likewise, you can use it to get rid of anything that you deem to be non-useful or a hindrance in your day-to-day life. Prior to starting this session, make sure you have a good think about what it is you are going to focus on letting go of, make sure you are comfortable about letting go of it and start to imagine how life is going to be without that in your life. With that in mind, find a place where you’ll be undisturbed for the period of this session, get sat comfortably with your arms and legs uncrossed and not touching each other and begin. Step Two: Find yourself on the top floor, perhaps the tenth floor of a building of some kind. It can be a hotel, an apartment block, office building or whatever you prefer to create in your mind for the purpose of this process. Depending on your preferences, you can take the lift, escalator or the stairs and start to descend to the lower levels of the building, aiming for the basement. Take some time to use this part of the process as a means of deepening your experience and perception, you can tell yourself that you are going deeper inside of your mind as you move lower within this building. Be sure to engage your imagination throughout this part of the process, see the sights, hear the sounds and enjoy the sensation of moving deeper down inside of this building. When you have taken your time and reached the doors of the basement, proceed to the next step. Step Three: Walk into the basement and find it to be an incredibly welcoming and cosy, comfortable room indeed. At the far side of the room is a large fireplace. Start to engage your imagination here; become aware of the colour of the room, the lighting and the shades and textures throughout. Then become aware of the sounds all around this room and how comfortable and at ease you feel to be here. Then gaze at the fireplace, notice a comfortable armchair of some kind beside it and take a seat at a comfortable and easy distance from the fire. Notice how the chair seems to have been designed especially for you. Notice the way it supports you perfectly, notice how it is incredibly comfortable, maybe you can even imagine it melding and molding to the exact contours of your body. Settle into it and relax further, notice what the chair is made from and enjoy being sat in this chair gazing at the fire before you. Watch the fire for a while. Tell yourself that as you watch it, the movement is soothing your mind and taking you deeper down. Enjoy the colours, the movements and sound of the fire. Bask in the heat of it and really enjoy this step – get everything to your own design and then move on to the next step. Step Four: Imagine placing your palm out in front of you and placing your worries, fears, beliefs or concerns (whatever you decided that you needed to let go of) on to the palm of your hand, like they are real and actual things. Then one at a time, start to cast those things into the flames. As each of those items reaches the fireplace, notice the flames increase temporarily; like someone turned the gas up underneath somewhere, and the flames engulf and burn the item. Watch it burn and blacken and then turn to ash and nothingness and the last traces of dust fly up the chimney. They are gone, entirely burnt, flamed, torched and disappear for good. Take all the time you need to do this thoroughly and at a good, thorough pace to make sure you let go of all the things you no longer need. As each one goes and disappears, start to notice a sense of release within you. Imagine that you feel lighter and more at ease and notice what it means to you to let go and how that feels. Once you have worked your way through all the things you placed into your palm, then move on to the next step. Step Five: Now do make sure that you spend plenty of time enjoying the lightness and easiness of letting go of all that stuff. Notice how you feel different. Tell yourself what you notice to be different and start thinking about the day ahead of tomorrow and think about how things are going to be different as a result of you feeling so much better and lighter and at ease. Maybe you can imagine the new feeling as a colour that spreads through your mind and body, maybe you can imagine it as a sensation or a sound that spreads and resonates through you. Just build it and enhance it and enjoy it. Once you have spent enough time being sure that you feel different, then complete the process with step six. Step Six: Wiggle your fingers and toes, open your eyes, take a couple of nice deep breaths, stretch your arms and legs out and notice that feeling of lightness staying with you. Keep reminding yourself of those good feelings and know that the more you practice this, the longer those feelings will stay and the better you’ll feel. There you have it then, these past couple of days a couple of processes aimed at letting go of what you no longer need. Go and turn some unwanted stuff into ashes and enjoy the glee you get at burning stuff! 1. Have negative thoughts held you back and/or are they still doing so now? Do you need to learn how to develop better thinking habits? 2. Would you like a satisfying and meaningful career as a hypnotherapist helping others develop better thinking habits? 3. Are you a hypnotherapist for whom negative thinking is negatively effecting the success of your business? Do you need to think more effectively to fulfil your career ambitions?